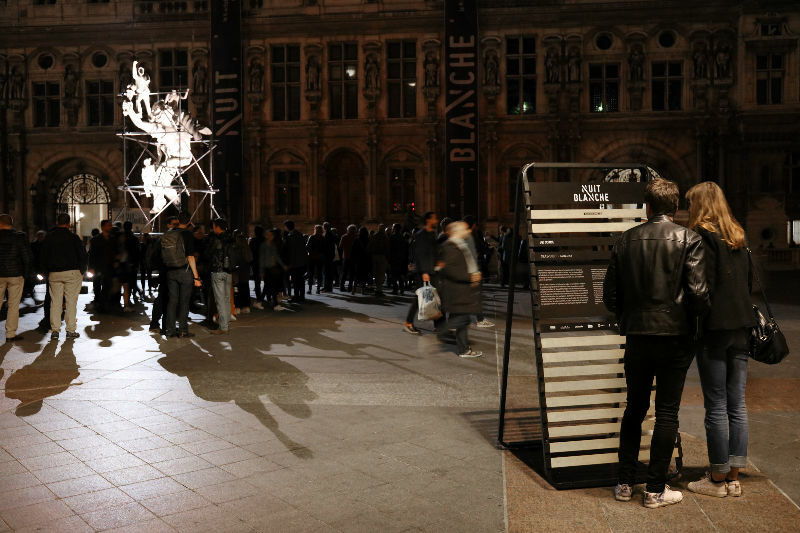 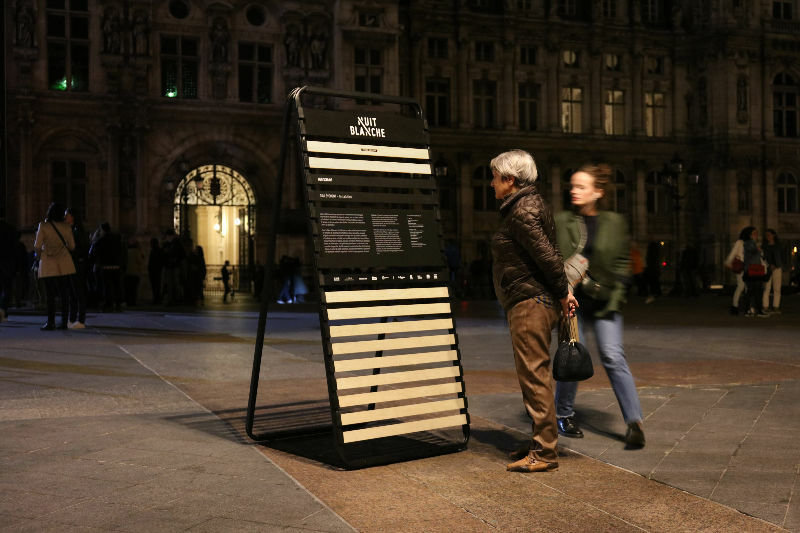 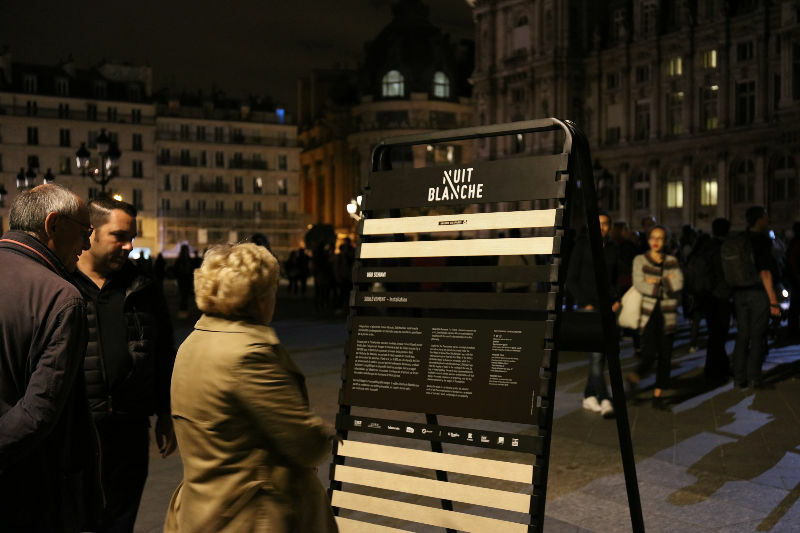 As part of the “Nuit Blanche” event, Paris City Hall asked the studio 5•5 to design an identity signage to reveal and showcase the works to the public. 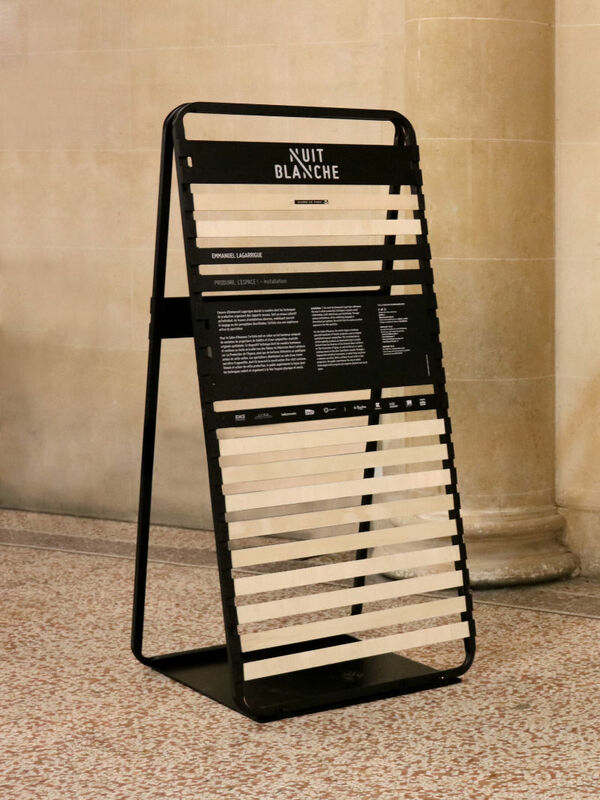 The studio used its humour and ingenuity to turn an everyday item, the slatted bed base, into an adaptive identity signage system by playing with the modular nature of the slats. 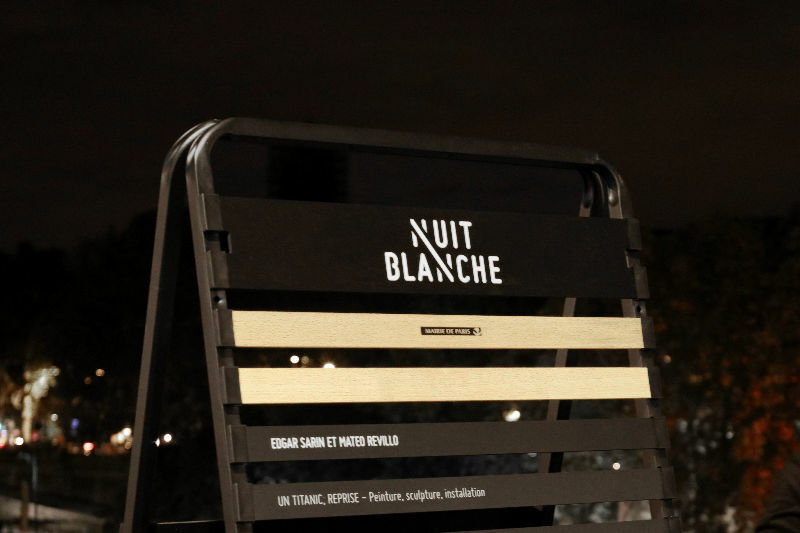 A simple act and style from 5•5 to help you enjoy a good Nuit Blanche… not too far from your bed.